FUOYE admission lists (second batch and first batch) are out. 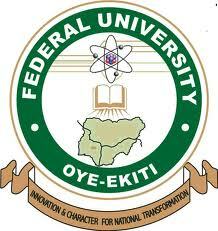 The Federal University, Oye-Ekiti, FUOYE admission list (1st and 2nd batch) for the 2018/2019 academic session have been released online. In light of this, candidates that applied for admission into the university can check these FUOYE lists. Candidates whose names are on the lists have been offered provisional into FUOYE for 2018/2019 academic session. The first batch and second batch FUOYE admission lists have been uploaded to admission status checking portal of the school. The steps listed below will help you to view the list. A. Firstly, go to FUOYE admission status portal at https://ecampus.fuoye.edu.ng/putme/. B. Next, enter your registration number in the required space. C. Finally, Click on ‘Login’ and then click on ‘Admission Status’ to check your FUOYE admission status. Alternatively, you can go to JAMB admission status checking portal to see if you have admission offer. Candidates who get offer of admission should head over to JAMB CAPS. There you can either accept or reject the admission offer. If you don’t see an offer of admission even after satisfying all requirements, please check back. The lists are uploaded in batches and yours might be done soon. In conclusion, we congratulate all candidates whose names appear on the released admission list of Federal University, Oye-Ekiti (FUOYE).